We asked Austin-based cosmetic dermatologist Dr. Steven Zimmet, who works with some of the biggest celebrities and high-profile names in the area, for his best tips for boosting and retaining collagen. One of the best ways to retain collagen is to protect skin from the sun, so it’s important to apply sunscreen daily. “Ultraviolet radiation from the sun increases skin cancer risk and aging of the skin, including age spots, broken capillaries, wrinkles and coarsening of the skin,” says Zimmet. “Probably about 80 percent of our skin aging is due to the effects of the sun.” He also suggests wearing a large brim hat and protective clothing to further minimize damage from the sun’s ultraviolet rays. We hope that no one is still risking their health by using tanning beds, but if you are, stop for the sake of your skin. “Although they don’t use UVB rays, and thus sunburns are avoided, the UVA rays they do use penetrate more deeply, and contribute to both skin cancer risk and aging of the skin,” explains Zimmet. What you eat can play a significant role in your skin health and your skin’s ability to retain and create new collagen, says Zimmet. “A diet high in antioxidants, fruits and vegetables, is a fundamental way to preserve our collagen and other tissues, and improve our ability to make new collagen,” he explains. 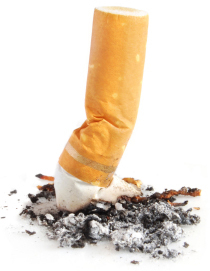 If you haven’t resolved to stop smoking yet, we suggest you do — for your health and your skin. “Avoid smoking, which contributes to collagen degradation as well as reducing the ability to make new collagen,” says Zimmet. We know eating foods rich in antioxidants can be good for the skin but you can also apply them topically (think products containing vitamins C and E). ”There is strong evidence that a good topical antioxidant reduces the injury effects of ultraviolet rays that get through a sunscreen, and some UV rays always gets through a sunscreen,” explains Zimmet. Another non-surgical way to fight the signs of aging and keep skin looking younger is radiofrequency treatment. “This treatment delivers radiofrequency energy to the lower layers of the skin to tighten collagen and stimulate new collagen formation,” explains Zimmet. If you’re looking to improve the appearance of your skin, this treatment could be for you. “It’s a laser treatment to tighten skin, boost collagen production to reduce fine lines, acne scars and reduce splotchy sun-damaged pigmentation,” says Zimmet.